Do you understand piping and instrumentation diagram? What is it? If not, read this article and it will give you an overview of piping and instrumentation diagram. Once understanding piping and instrumentation diagrams, engineers can read schematics and use them in identifying problems and know how to include them in reporting rig control problems. Piping and instrumentation diagram, also called P&ID, is a drawing in the process industry. 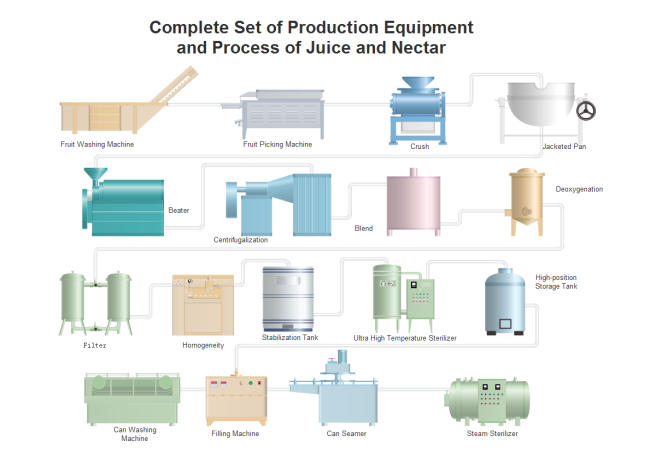 It presents the interconnection of process equipment and the instrumentation which is used to control the process. And this kind of diagram is mainly used for laying out a process control installation. 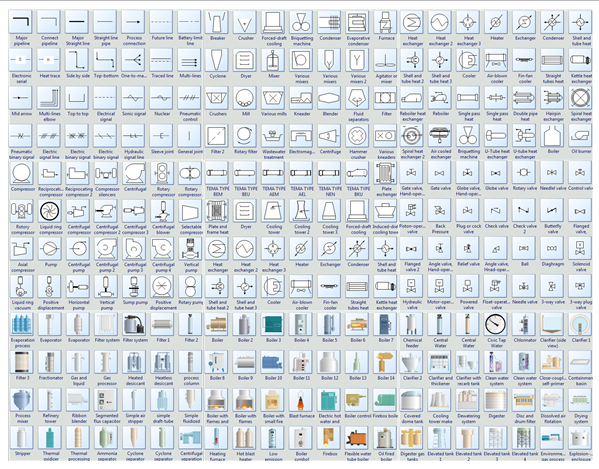 There are so many and various symbols used in piping and instrumentation diagrams. And all of them have their own usages. Symbols showed in the following picture shows are only the tip of iceberg. Launch Edraw and open a blank P&ID drawing page. Drag equipment shapes from Equipment on the left library and drop on the drawing page. Use pipelines to connect the equipment. Use the same way above to add valves and instruments. Rotate a shape until get the correct angle. Double click the P&ID symbols to add data. Click How to Create Piping and Instrumentation Diagram to view detailed tutorial for creating P&ID. P&ID not only plays an vital role in maintaining and modifying the plant process after initial build, but also is important for enabling development of control and shutdown schemes, safety and regulatory requirements, start-up sequences and operational understandings. And as it is the last stage of process design, it also serves as a guide for people who is responsible for the final design and construction. P&ID maker provides a highly effective way to draw P&ID. It has improved the drawing with quick buttons and auto-alignment technics. More importantly, it includes all the needed symbols and a large collection of examples. Try it now!